Here’s my plan, more or less. Since last check-in, I finished Week 4 and am starting Week 5. I had to switch Tuesday and Wednesday because we went to my Mom’s for dinner on Wednesday and to do a little yard work, so I didn’t think I’d want to head out to the gym after that. On Tuesday I did 1 hr 5 mins on the elliptical, going between 4 and 5 miles, I don’t remember the exact number. Wednesday I did some weight-lifting at home with David. We did dead-lifts, curls, squats, a couple of other things and a few crunches. Thursday was a nice evening so I ran 2 miles at the local park. My pace was 10:42 min/mile. I’m thinking I’ll try to go a little quicker on those shorter runs and not worry too much about time on the longer ones. Friday I took the dog on a mile walk, but we’re pretty slow. 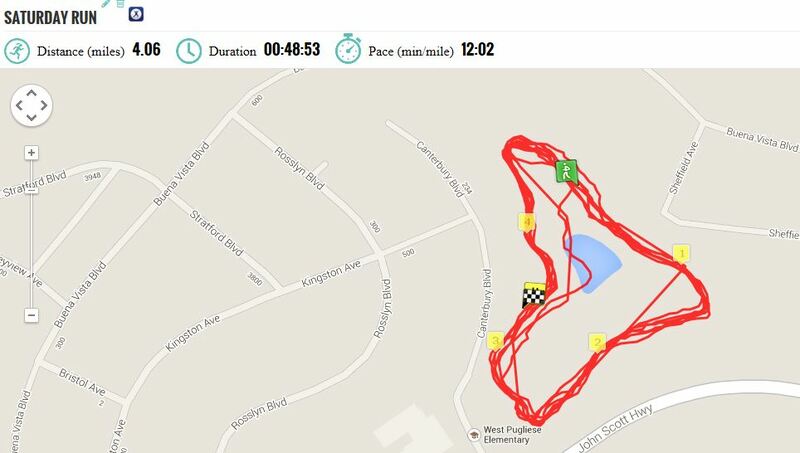 Saturday I did my 4 miles at the park, going in circles. I’m not sure what the blue thing is on the map below. There’s not a lake there, but it does have a water pad and a softball field and an open area they sometimes use for soccer. Sunday I took the dog for a mile walk. Monday I headed to the gym. I ran 3 miles on the treadmill and then did some of the leg machines. This morning I took the dog for a mile walk, but I’ll do some weights or yoga or something this evening. David and I registered for the Montour Trail 5K which is the first weekend of September. David isn’t as much of a fan of running, but he does one occasionally. 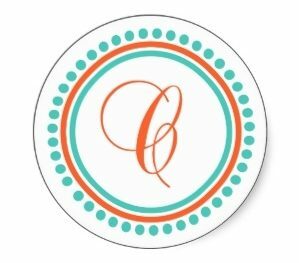 Readers’ Workouts is hosted at Joy’s Book Blog. And apparently I ran right through the middle of it, too. That’s pretty funny that there’s a fake lake in your map. Sounds like you’re doing great on your training schedule! It’s always a good sign when you can take interruptions in your stride and plan around them. Too bad that lake on the map isn’t really there! Good luck to you both on the 5K! I’ve done a few and love them! I’d like to do a 10K sometime. 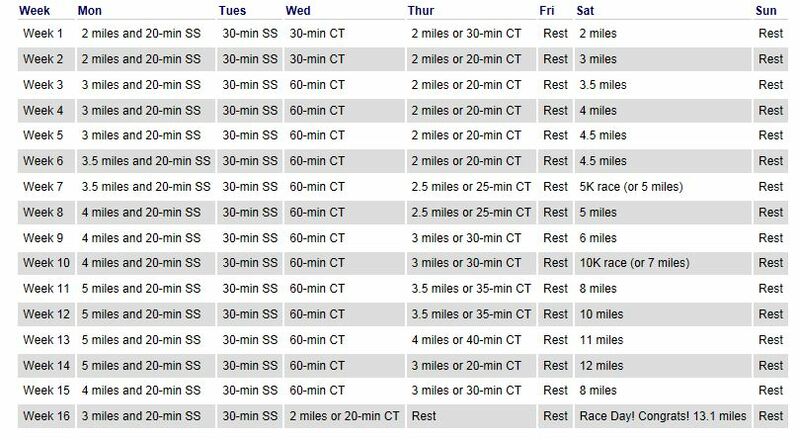 My current goal is actually a 10-mile trail run in November, but I definitely have to work my way up to it.